Do Not Disturb mode breaks Win 10 notifications? Couple of months ago I have started to have problems with my Windows 10 notifications - at some point they stopped working and I had to restart my computer. By stopped working I mean - Focus Assist button did not respond to click, I did not get any notifications, I could not start Timer in Windows 10 Alarms & Clock application etc. I have suspected that this is a Windows 10 problem. However recently I have discovered "Do Not Disturb Mode" menu on my Avast Free Antivirus. I had switched off "Do not disturb" for all my apps listed on menu. Since then my Windows 10 notification works normally. It could be a coincidence and it might not have to do anything with Avast but I thought you might want to now. Re: Do Not Disturb mode breaks Win 10 notifications? no DnD mode should stop Windows Notification Service, but only if some app is in fullscreen. So one of your apps has fake invisible window that is detected (and DnD mode therefore stops the service) OR you have old version of Windows 10 (there was bug, when you turned off the service it would sometimes get stuck at stopping and then you were unable to stop it or start it, until you ether killed the process or restart your computer). You can check if state of the service in Task Manager > Services and you want to look at WpnUserService_*****. If it is saying Stopping in Status column, you should update your windows. If not then it is some of your apps. In that case can you send me list of your application I will have a look if some of them causes DnD mode to be active even if it isn't in fullsceen. In last couple of days I was not able to reproduce the behavior anymore . 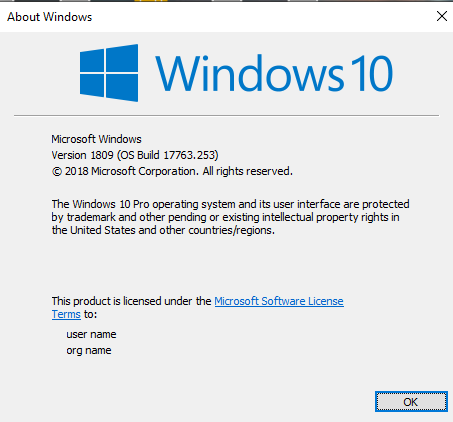 Just for the information - I only had Google Chrome and MS Edge in the list of the applications and I always kept my Windows 10 up to date (i.e. used standard settings and install updates as soon as they were available on my PC). It looks like you have an update to do as well, because 17763.292 is the latest build. Must be since my system is totally up to date. Yes. It's Microsoft Edge's fault. As I remember after you go fullscreen it keeps the fullscreen window around, but makes it invisible. So DnD mode is still running even though, you don't see anything. Yep, one way to close Microsoft Edge invisible window is to run CCleaner after you've closed your session of Microsoft Edge. CCleaner always finds this opened (invisible) window and always says it needs to close it to proceed with cleaning, yes - no? Just say yes. Microsoft Edge always creates an invisible window on close every single time. You can also use Task Manager to close Microsoft Edge.